"Create a work of art from any photo with custom metal photo prints! Metal photo prints are lightweight, incredibly durable, and offer a unique and modern visual appeal like no other printing medium. 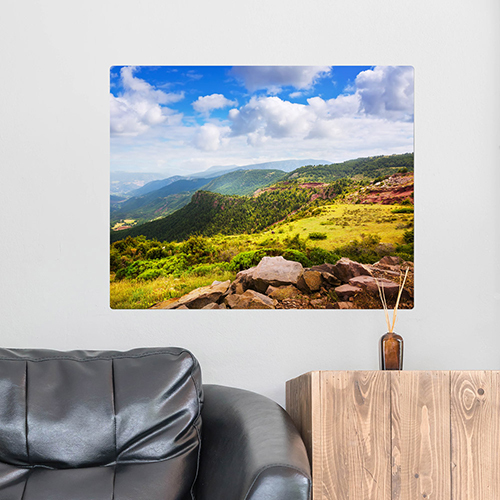 Offered in a white base of lightweight aluminum, metal photo prints can be displayed with floating wall mounts or attachable easel-backs for a wide range of display options. Featuring a printable UV and scratch resistant coating, they are an incredibly versatile and durable display option for any interior signage, image display, or murals! Size: 16"" x 20"", ⅛"" thick Base Color: Gloss White Wooden shadow mounting block is included!"